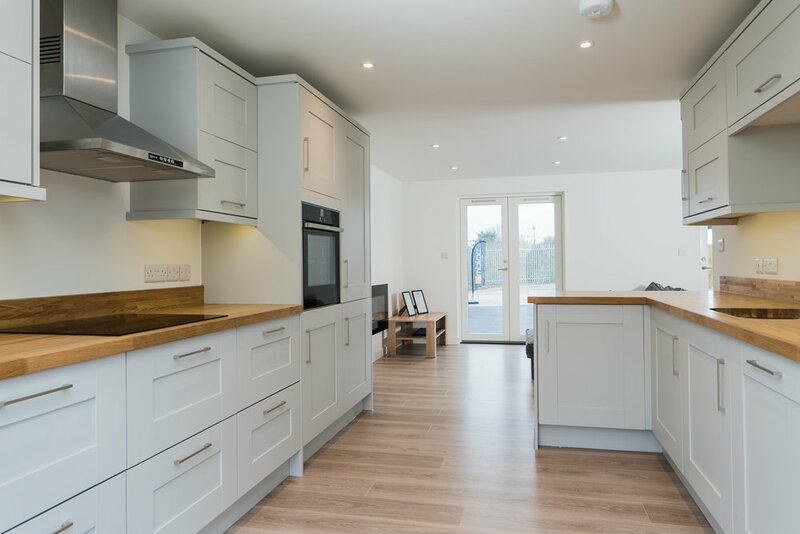 Our show home has been built in Sudbury, Suffolk. This has allowed us to show what we are able to achieve and how we can do it. When offering a new concept, it is important for people to see what is being offered is as it says. We achieved our goal of building a two bed, single storey, 60m2 home in 8 weeks. This can be done all year round due to no weather restrictions unlike traditional building methods. 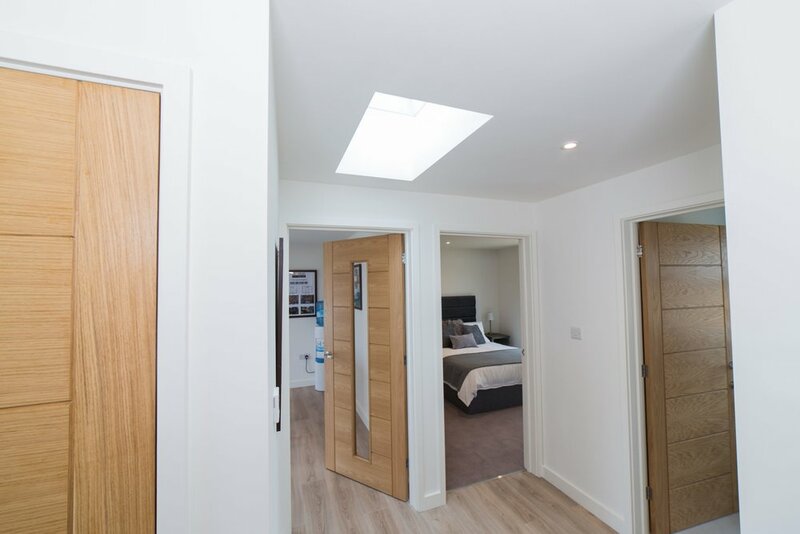 For us to keep ahead and moving with the modern day building industry along with aiming to meet the demands of the required amount of new homes to be built, building our show home has been vital in demonstrating the quality that can be produced within reduced time frames compared to those of traditional builds. The simple design enables construction to take place in restricted areas such as land locked back gardens with limited access, weather risk areas, to previously developed land or property with local significance that obtains the ability to be adapted whilst maintaining its original assets. MBloc can meet specifications and accommodate the needs based on an individual basis. Within domestic we have a range of one, two and three-bedroom designs built over either one or two storeys. 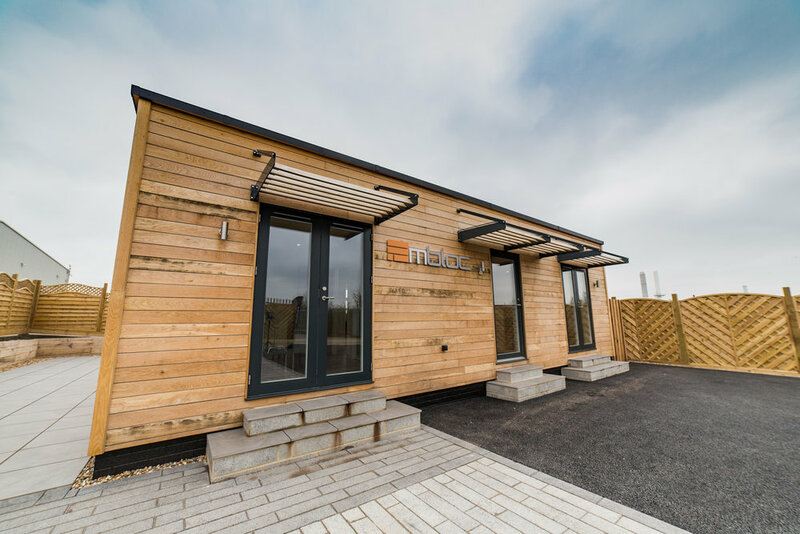 The MBloc concept has the ability to tailor itself to suit almost any purpose building ranging from homes, annexes, pool houses, and play rooms etc. Our flexibility with internal and external finishes means that every build can be unique to the client. With the flat roof design, this opens opportunity for solar panels for energy generation within the property and grey water collection. The ability to have a roof top amenity space or balcony area. With very little extra work, the flat roof also allows any future developments to be added with minimal disturbance to the existing structure when adding a first floor. Our new building techniques have changed the way in which we construct. The use of concrete pad foundations as opposed to traditional strip foundations reduces the use of concrete by around 60% or more. Through the use of reputable products, such as efficient windows and insulation, the rate of air flow throughout the building allows for much more efficient temperature control. By introducing an air source heat pump, this takes away the requirement of a boiler through providing heating and hot water generated by the electricity partly provided by solar panels above therefore producing less C02 when running the property. With the combination of all of this technology, we have been able to produce a score of 93 on a SAP calculation, achieving an ‘A-rated’ score. Mbloc builds can come with an insurance backed 10-year guarantee with which allows clients to obtain mortgages if required. Please click here to see viewers comments.